We pride ourselves on being a warm and inviting family-friendly park and love to welcome guests of all ages, including those with reduced mobility. 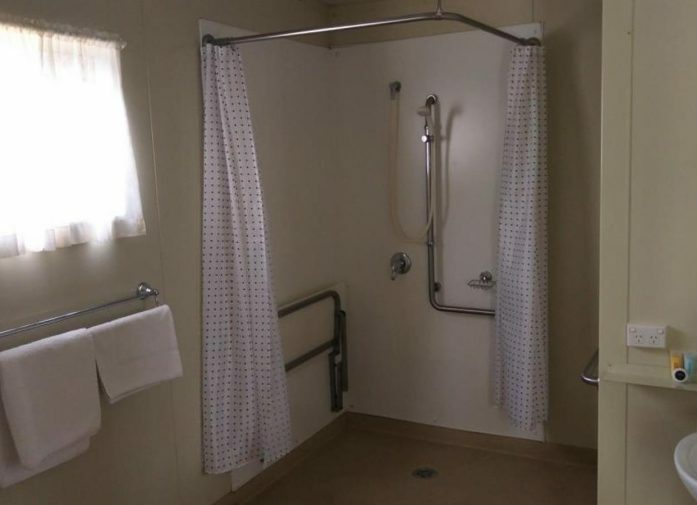 Our Disabled Friendly Ensuite Cabin provides the perfect accommodation for limited mobility guests with access ramps and floor-level shower facilities with a wall-mounted seat and grab rails ideal for wheelchairs. 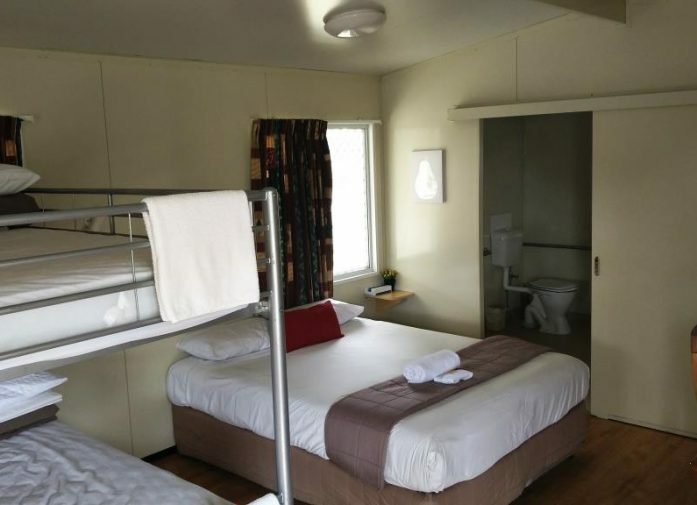 Our Disabled Friendly Ensuite Cabin is a great alternative to spending your holiday cramped up in a traditional hotel or motel. 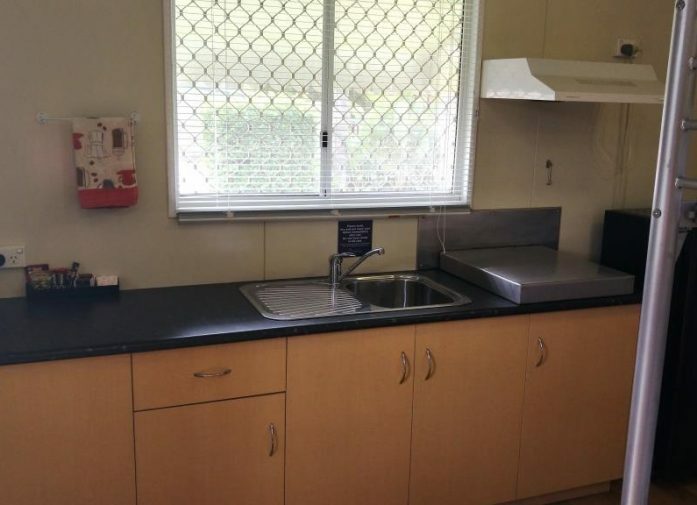 You have all the convenience of home with purpose-built, easy access to the cabin and can conveniently cook your favourite meals in the cabin’s fully functional kitchenette. 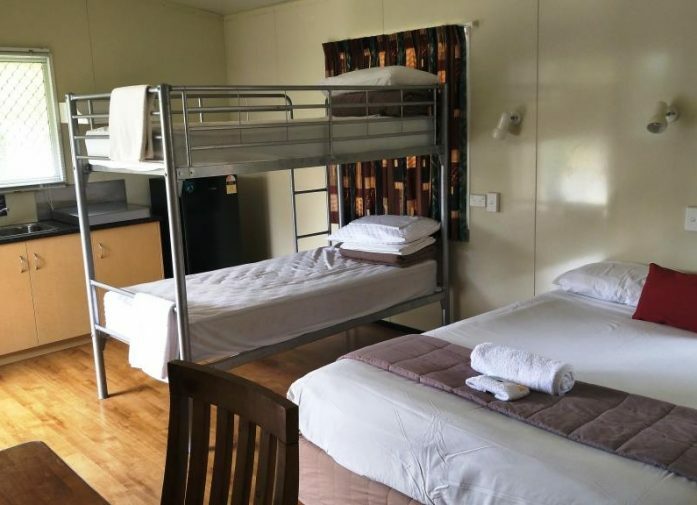 Equipped with a gas cook-top, microwave, fridge/freezer and all the cooking utensils, crockery and cutlery you need as well as a dining table and chairs, the cabin is the perfect spot to relax and avoid the hassle of having to head into town to eat. A queen bed and bunk bed provide sleeping for up to four guests and all linen is included. 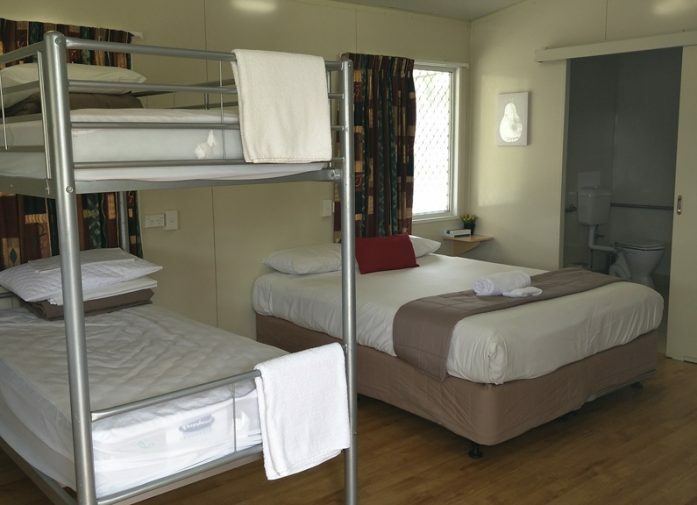 We also provide amenities such as a complimentary hairdryer, toaster, ironing board and iron. Sit back and enjoy your favourite TV programs in air-conditioned comfort, or take advantage of the outdoor facilities the park has to offer such as the pool and spa or come and enjoy a glass of wine or two while meeting some of our other friendly guests in the camp kitchen. 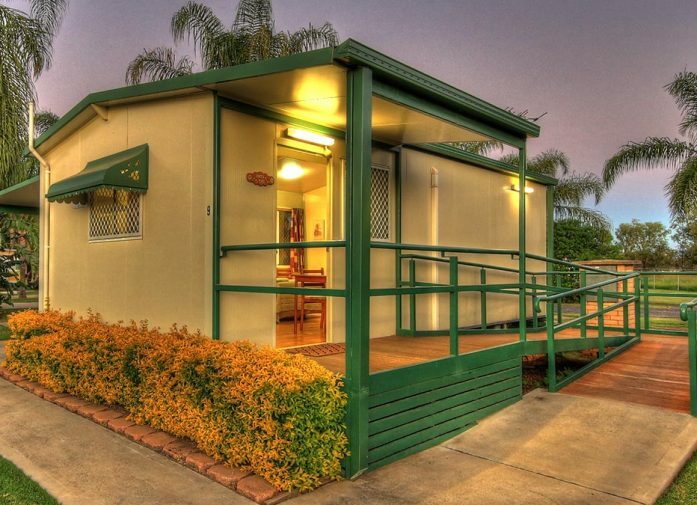 Our comfortable and immaculate Disabled Friendly Ensuite Cabin is the perfect spot for a memorable stay or stopover in Goondiwindi. 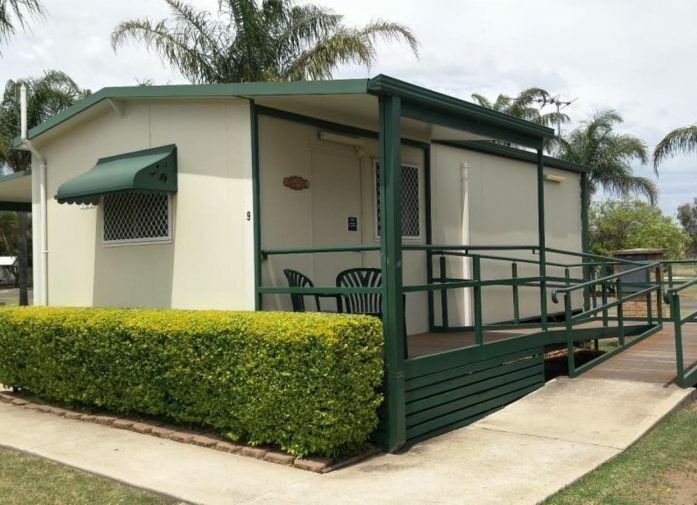 If you are looking for the best value, disabled friendly and accessible accommodation in Goondiwindi, then book your stay with us here at Goondiwindi Holiday Park. We look forward to meeting you soon.